We offer guaranteed removal of negative reviews from Yelp. You only pay if we are successful. Get a fast quote by completing our online form below. What Happens After The Bad Review(s) Are Removed? What’s My Return On Investment For Removing Bad Reviews On Yelp? Yelp is one of the most trusted sites on the internet. Whenever you search for a local business in Google, Yelp is usually one of the sites you see on page 1. And since so many people read reviews before making a buying decision, one or two negative reviews on Yelp can really hurt your business. Marketing and PR firms will advise you how to handle the review publicly, but if you want to nip the problem at the root, then removal is your best option. 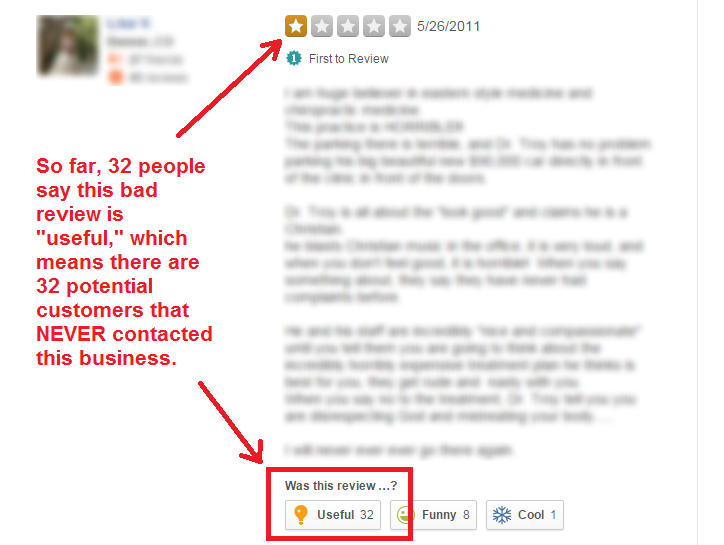 We don’t need a court order to remove negative reviews from Yelp, but we may use an attorney for part of the process. It takes 15-60 days for removal. It doesn’t matter if the review on Yelp is from a real person or an alias, nor does it matter if the review is fake or defamatory. We assume the review is negative and get it deleted from your page. The price to remove Yelp reviews varies depending on whether you need one review removed or multiple reviews removed. Request an immediate quote by completing the contact form at the top of this page. Our guarantee means you don’t pay us unless we are successful at removing the reviews. There is no risk to you if we are unsuccessful. Your overall rating improves. Since your score is averaged, removing 1 and 2 star reviews means your average rating on Yelp will increase. The review is gone forever. Once a review is deleted, it is permanently removed from your Yelp profile. Your business should increase. Since 88% of consumers trust online reviews, deleting a negative review improves consumer confidence in your brand. Can you remove ANY Yelp reviews? Or just ones that violate Yelp’s terms of service or content guidelines (where you flag it and make a case to Yelp for removal)? We can remove most reviews on Yelp. We have a 90% success rate. Only reviews from “Elite” Yelp posters are more difficult to remove. When you remove a review from Yelp, is there any communication with the reviewer? Is the removal handled without the reviewer’s knowledge? We are working directly with Yelp, so the poster will not know if/when a review is removed. When you remove the YELP review, will it be totally removed due to violation of TOS, or will it just be hidden on NOT recommended page? It could go either way. We will always try to remove the review outright at first. If that is unsuccessful (if it doesn’t violate TOS or the poster refuses to take it down) we can then attempt to move the review to the “not recommended” section. I will not have to pay anything until the review is removed, correct? That is correct. You only pay us when the review has either been removed (always our goal) or moved into the “not recommended” area where it won’t be seen. All of this is made clear to you up front in the agreement you sign before work begins. Are your removal methods from Yelp illegal or using “black hat” SEO? No. We don’t do anything illegal that would get us or you in trouble. Our service is permanent and effective and does no involve trickery of any kind. Are there other risks to be aware of when using your service? There are no other risks except the loss of time if we are unsuccessful. Of course, in that case, you do not pay. If we have multiple bad reviews on Yelp, do you remove them all at once? We usually remove reviews 1-2 at a time and space them out over time. Your Yelp business login information. Email address and password. Average cutomer spend. How much does the average customer spend in one visit? Visits by customer. How many times does a new customer visit in one year? Conversion rate. What percentage of new leads actually become customers? Cost to remove negative review(s). Please call or contact us for an estimate. 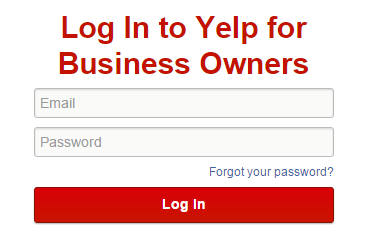 Go to the Yelp For Business Owners portal and input your email and password. Click the Period: 12 months, then click Revenue Estimate. Note that your Yelp customer leads are automatically estimated by Yelp. It is an indication of how many Yelpers are engaging with your business each year. After you’ve input the data in Step #3, Yelp does the math for you and computes the estimated revenue from Yelp Customers. This figure is the amount of annual revenue you are putting at risk by having negative reviews on Yelp. Now that you know how much annual revenue your Yelp profile is worth to your business, all you have to do is contact us to find out what it’s going to cost to take down the negative reviews. Chances are, unless you have several negative reviews, the cost to get them removed is going to be a less than the amount of income you are putting at risk. And remember, this is only for one year. Once your negative reviews are gone (and assuming you don’t get anymore! ), your Yelp page can be one that you are proud of and which produces more and more leads each year. However, if you want to get more positive reviews on Yelp, the best way to do is it to encourage your customers who are “Yelpers” to post them. We can help you with this by putting a simple review system in place that makes it easy for you or your office staff to direct customers to your Yelp page with a link. The best way to do this is to ask for the review at the time of purchase and then follow up with an email which includes the link. Hopefully, you’ve found this information helpful. Complete a quote request form to get an estimate on what it will cost to delete any and all of the negative reviews on Yelp.